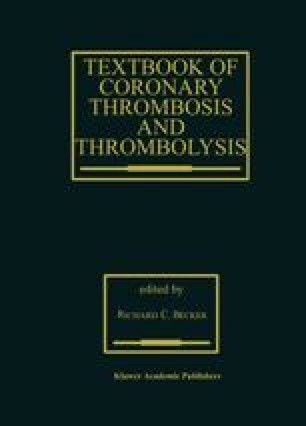 Early intravenous thrombolysis has been firmly established as the therapy of choice for acute myocardial infarction. There is room, however, for an important improvement: Between 15% and 50% of coronary thrombi cannot be lysed with the currently available drugs, 10-25% of successfully recanalized vessels reocclude, and 0.5-1% of the treated patients suffer an intracerebral hemorrhage. Dispute over the thrombolytic agent of choice, including pharmacoeconomic aspects, has continued despite megatrials involving over 100,000 patients [1, 2, 3, 4, 5]. While the overall benefit of thrombolysic therapy has been confirmed, questions remain with respect to optimal adjuvant antithrombotic treatment, the validity of surrogate endpoints, and the mechanism through which thrombolysis translates into clinical benefit [6, 7, 8, 9, 10].